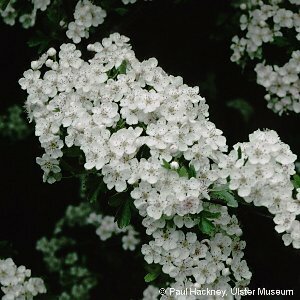 The common hedging shrub of Northern Ireland producing heavily-scented white or pinkish flowers in May ("May" is one of its common names). 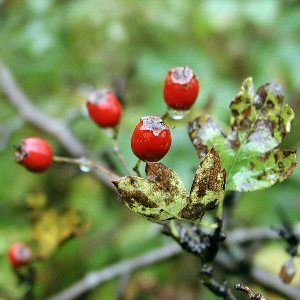 In late summer the red fruits called haws are produced in abundance. Apart from hedges it is also frequent in woods and scrub. 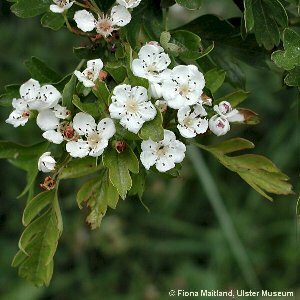 All names: Crataegus monogyna Jacq. ; Crataegus oxyacantha L., nom.ambig.